The follow-up to the popular stargazing app The Night Sky has launched today, introducing a number of new features. As with the original app, Night Sky 2 allows users to view the sky above them on an iPad or an iPhone to identify nearby celestial bodies. 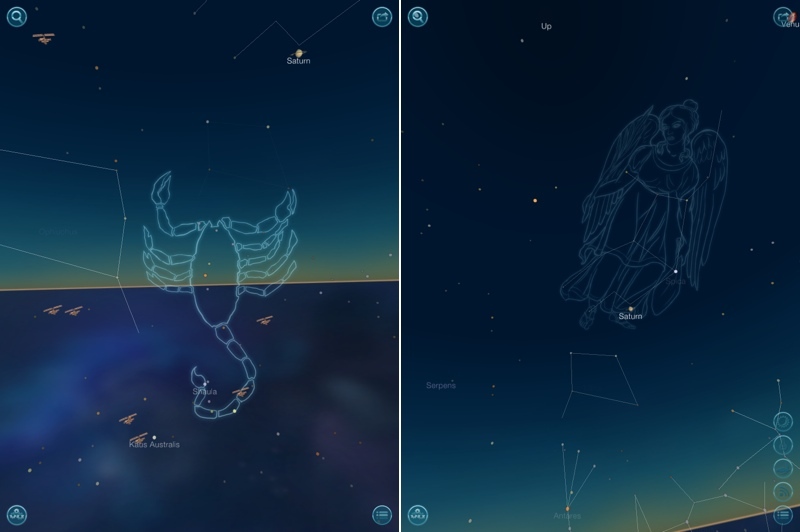 The revamped app offers a redesigned sky view that includes both higher quality imagery and original artwork constellations, along with a browse and search feature that was absent from the previous version. It also includes detailed information on both the sky and the weather. With search, users can type in the name of any satellite, star, planet, or constellation to view it within the app. 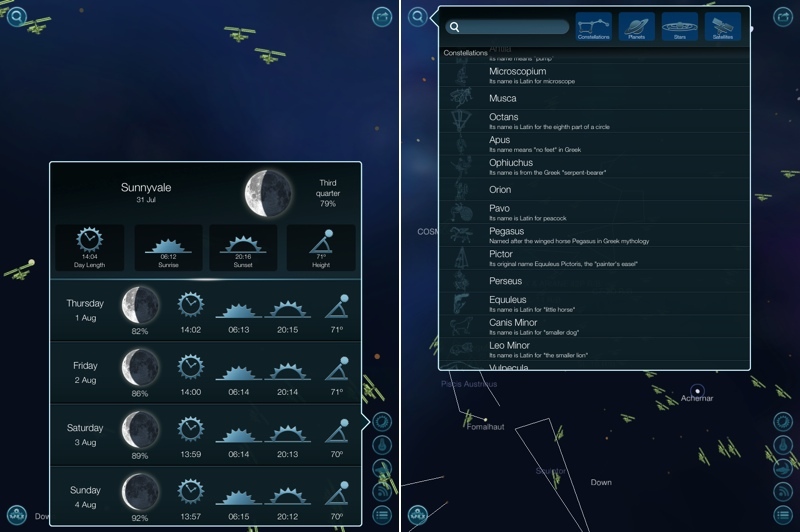 Constellations have been improved and instead of showing just a general outline, full but non-intrusive artwork depicting the constellation is displayed. Sky Info, accessible from the app’s many buttons, provides a look at moon phases, sun rise and sun set times, daylight duration, and sun elevation. A similar mode, Stargazing Weather, offers information on cloud cover, temperature, wind speeds, and visibility, with an overall view indicating whether or not the local sky is visible. Night Sky 2 includes an optional community mode, which requires a monthly membership fee priced between $2.99 for a month and $20.99 for two years. The community is designed to allow users to share stargazing sites around the world with one another. The app also features smoother sky tracking, detailed information on celestial bodies, and sharing tools. its a perfect example of a app that is way better than that, deserves more and sets a bad precedent. Star Walk is an order of magnitude better. Smoother scrolling by far, better graphics by far, better UI, nicer icon, the original app (released the previous year), etc. Night Sky feels like a bad ripoff of Star Walk. Seriously. I personally think Star Walk is overrated. I don't like how the you can't fade the Milky Way at all. And the sky is not realistic looking. The two I use are SkySafari Plus and Sky Guide. For 99 cents I think I will give Night Sky a try as well.